Homeowners in Pennsylvania rely heavily upon our central air conditioning systems in the hot summer months. But not everyone knows that the refrigerant running their old AC system will be going away in the very near future. Here is what you need to know about the banning of R22 refrigerant, and how it will affect your home. R22 Refrigerant, sometimes referred to as R22 Freon or HCFC, has been recognized as an environmental danger because it contributes to the depletion of the ozone layer. R22 has been the most popular choice of refrigerant used for residential heat pumps and air conditioning systems. It can be used in a variety of equipment such as window AC units, dehumidifiers, central AC units, air-to air heat pumps, ground source heat pumps, and ductless air conditioners. In 2020 the production of R22 will be stopped and no longer permitted. The only way to obtain the refrigerant will be by buying recovered and recycled R22. This will create a dramatic increase in price. And, in 2030, consumers will be required to use more environmentally-friendly equipment. Even though you are not required to switch your equipment today, it would be beneficial if you did. Newer models can save you significant amounts of money in energy costs. According to EPA (Environmental Protection Agency) equipment labeled with an Energy Star sticker can save homeowners 10% to 40% on their heating and cooling bill every year! As HVAC technicians, it is our job to make our customers aware of these changes. We no longer install systems that operate on R22. Contact us today if you have questions about this new regulation (Section 608 of the Clean Air Act), or would be interested in switching over. 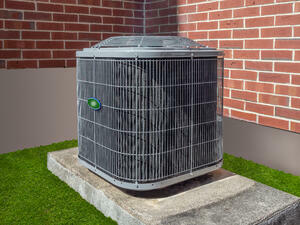 Your search for an HVAC company with quality and caring HVAC contractors to replace your old R22 central air conditioning for your home can end right here – contact us today to set up an appointment. We are proud to serve customers in the Pennsylvania counties of Berks, Bucks, Carbon, Chester, Cumberland, Dauphin, Lancaster, Lebanon, Lehigh, Monroe, Montgomery, Northampton, Perry, Schuylkill, and York. To see examples of our work in your neighborhood or town, view our case studies by clicking the link below.